While they’re on vacation let’s sneak a look at the laws they’re trying to foist upon us. This death penalty thing….two words: THOMAS CAPANO! Ruth King and Bryant Richardson legislative victories this week. Much more…click in. This is Delaware. So President-Whisperer Valerie Jarrett instructs our Delaware senators and representative to jump through hoops. This pathetic loyalty to the administration is passed down and with the help of Republican Greg Lavelle, whom MSNBC called a “rising star”, last year the legislature managed to sneak in the Common Core testing standard. They always have cute, forward-sounding names. This testing standard is called the “Smarter Balanced Assessment System”. Opting out of standardized tests that are allegedly being used to assess teacher as well as student performance is….well I don’t know if it’s such a smart thing for a parent to do. But it’s not like our legislators, even the Republican ones, are respecting our wishes as regards the horror called Common Core. So we’re trying to avoid it completely. Get those legislators on record voting against us. This is HB50 and is currently in the House education committee. This bipartisan bill, as amended, would continue Delaware’s participation in the Teach For America (TFA) Program. The program is set to expire this year. This measure would extend it for three more years. I’m not sure they are the most controversial or tough bills but what’s not to like? As I understand, if I, a world famous Blogger formerly an expert in finance of the business world, could be re-trained to become? A teacher! Is there some kind of teacher shortage? I mean this sounds good but why not re-train, say, me, to work for DELDOT, or even DNREC? Still and so it sounds good and so we will make it real. House Bill 11 would shield paramedics from civil liability in cases where it was impossible for them to obtain consent before rendering emergency medical services. This is a common sense bill but at times you gotta make laws. Because somebody somewhere will sue the bejeesus off of some poor paramedic who worked to save his or her life and hey, you can always find a reason to sue. 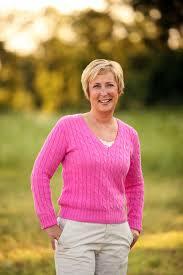 Good for Representative Ruth Briggs-King-our Sussex county heroine. Be sure to suppose that right to work law when it comes to the House, Ruth. Sponsored by State Rep. Tim Dukes, R-Laurel, this bill would require all candidates appearing on the General Election ballot to disclose whether their state and federal personal income tax returns had been filed and whether or not they had any unpaid income tax or property tax obligations. This is House Bill 67 and is currently in the administration committee. So how are they going to “disclose” this information? Will the places normally associated with the collection of these taxes, ie say, the county for such as property taxes? Or will the candidate just say they paid it and that will be the end of it? Pate Schwartzkopf wanted to exempt death penalty elimination for those who kill cops. The Delaware legislation once before eliminated the death penalty tax and then put it back in place. Because Americans believe in the death penalty, that’s why. But the Delaware Senate, on orders from the President-whisperer no doubt, passed the bill eliminating the death penalty in this state. 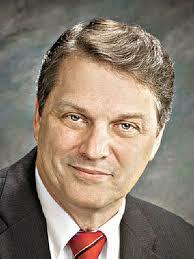 The last time the Delaware legislature did that Thomas Capano got right in and under the gun murdered Ms. Fahey. Thomas Capano was removed from death row and sentenced to life in prison. Capano died in 2011 but the state of Delaware supported this guy for ten years too many. This is what happens when states play volleyball with the death penalty. As I am to understand, this version of the bill will exempt those people currently on death row. Come on, we’ll have jails full of murderers. Over here we have those convicted after Delaware’s death penalty was reinstated. They still have to die. Over here we have those who murdered people after the death penalty was eliminated, the SECOND TIME. They get to live. And over here we have cop killers. They will die by slow torture. The Death penalty is not a political football and we are not fooled you sill Delaware Democrat senators. Is this Senator Gary Simpson listed as a co-sponsor of this bill? I thought he was Republican? Where are the people who flooded the Delaware legislative lines with phone calls to reinstate the death penalyy, that sleep was impossible until it was done, immediately! 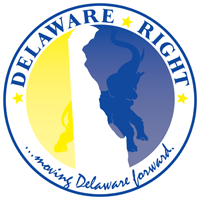 Take a stand Delaware and stick to it for God’s sakes! Take a bow Senator Richardson! The measure sponsored by Senator Bryant Richardson, R-Seaford, would eliminate a Town of Laurel requirement that residents register to vote in the general municipal election if they miss two consecutive elections. We hear he’s no longer a legislative virgin! We hear Richardson was a good sport for the ribbing on this, his first bill in the Delaware Senate. This is Senate Bill 54 and it’s in committee. This Act allows the Director of the Delaware Economic Development Office to create right-to-work zones as part of its inducements to bring new businesses to Delaware and requires these zones to be offered for manufacturing businesses hiring at least 20 employees. It also exempts those manufacturing businesses from their gross receipts taxes for their first 5 years. The Director of Delaware Economic Development is Alan Levin of Happy Harry’s fame. He got us Redner’s in Georgetown, some Royal Farms. So he’s going to be charged with creating these so-called “right-to-work zones” and eliminate the gross receipts tax for a few years to businesses hiring 20 or more employees? Why do the unions own Delaware? And while I’m at it, what the hell is that big Carpenter’s building in Georgetown? I’m sure that’s something Delaware taxpayers financed. If this is real, and I don’t believe for a minute it will pass, it would be helpful to the shore areas that can’t afford to pay $28 an hour to serve up taffy. We’ll pay attention to this bill and kudos to Delaware’s Senate Republicans for sticking together on this. Except one, I know, but the biggest “get” here was Ernesto Lopez. God bless. Shouldn’t this be on the Owner? It’s HB5 and — sponsored by State Reps. Debra Heffernan, D-Brandywine . The bill bans the use of vapor cigarette type devices in public places. I am not sure of the definition of “public place” here and I must wonder why the owner of the establishment shouldn’t be given the power to yay or nay the smoking of vapor cigarettes. But they love to pass laws and frankly the world probably doesn’t want adults sucking on any kind of cigarettes, even fake ones, in public. NEXT : Got a post in pics and the weekly political talk show post. Don’t know what they’ll talk about on Easter but I’ll be watching. One Comment on "What’s going on in the Delaware legislature? Those guys love to make laws, let’s check up on what they’re up to. The 4/4/15 Edition"
It was cheaper to keep him in prison than it was to executed him. You go more bang for your buck, but there were jobs for prison guards and other staff. One can always identify someone who is absolutely guilty. But what of the ones that been found to be innocent of the crime for which they had been sentence to death. Give me a guarantee that we won’t execute an innocent person and I’ll pull the switch myself. “Oops sorry about that” after the fact doesn’t cut it. Of course, I’m a Catholic and we are commanded that Thou Shalt Not Kill. So there’s my faith in the will of the Lord to consider as well.